If you're anything like me, organization is key to success in school. 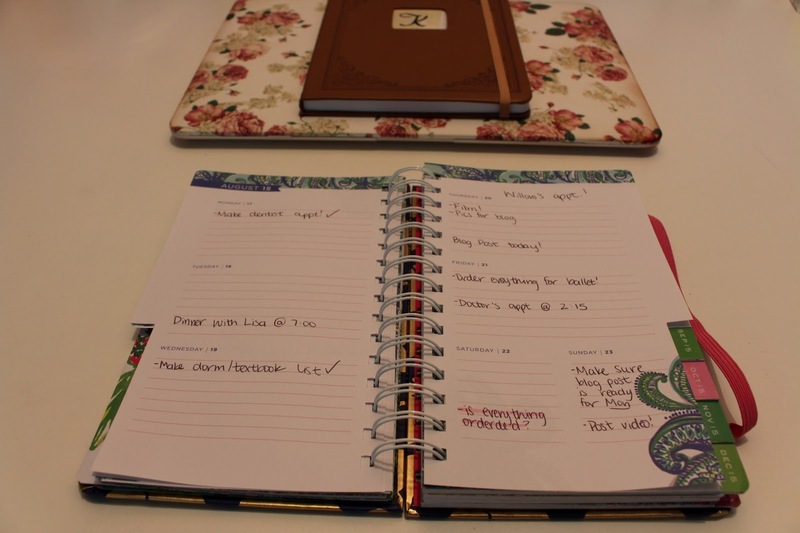 It took me a little while to figure out how to stay organized in college, so I thought it would be nice to share my tips on how to keep up with your crazy schedule while in school! 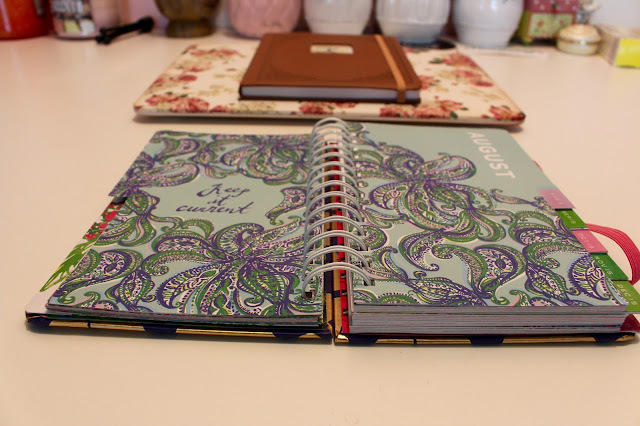 I have really been loving my Lilly Pulitzer planner! Writing your schedule down in a planner is the number one tip I could give you about staying organized. It's so important to keep all of your important dates in one place, and to write down what you'll be doing for the coming week. I like mapping out my schedule on Sunday evenings, just so I have a rough idea of what my week will look like. You of course don't have to put every tiny detail in for the week when you aren't too sure quite yet, but it'll help to have an idea of how you're week is going to go. Plus, it'll be easier planning things during the week because you already kind of know what you are doing each day. 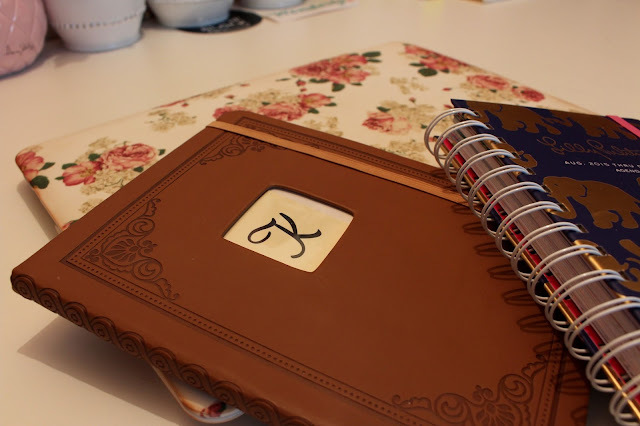 Using a planner to write down assignment due dates is also very important. As soon as you get your syllabus in the beginning of the term, write down all of the huge due dates for each of your classes because your professors will most likely only remind you the week before an assignment is due. 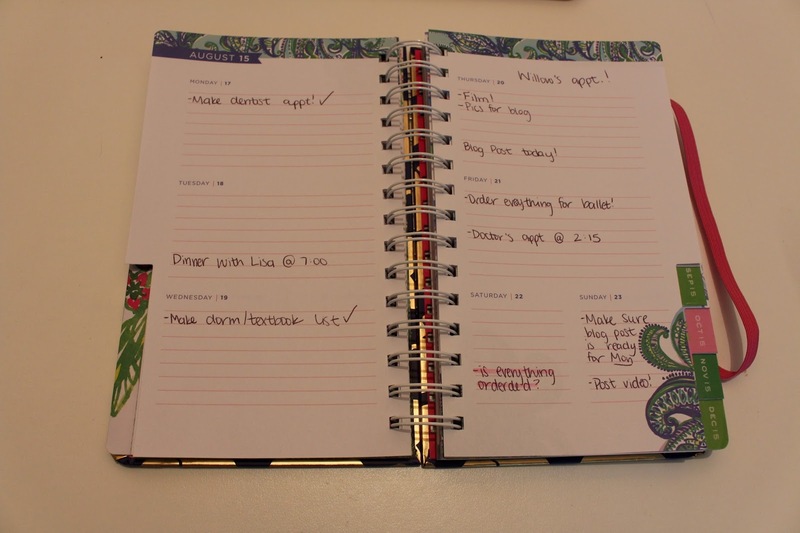 It's definitely your job now to keep track of due dates and to keep yourself accountable for everything. 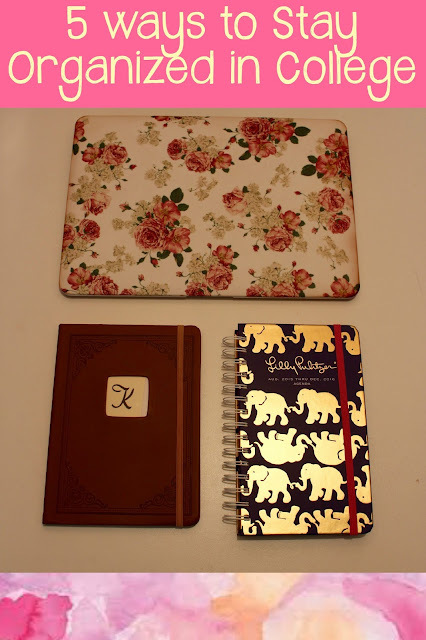 Plus, you can get a super cute planner from brands like Lilly Pulitzer, Kate Spade, Ban.do....the list goes on and on! Target also has some really cute ones that won't break your bank. 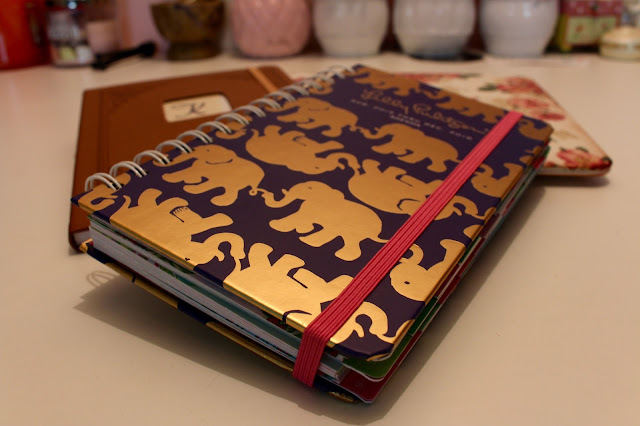 I like to keep a journal to write down my goals - whether they are my yearly, monthly, or weekly goals, it really helps to keep me on track! I also love to write out organized to-do lists that are more longterm, and focused on my more creative projects. So lists pertaining to blog posts, video ideas, writing ideas, and other creative projects! 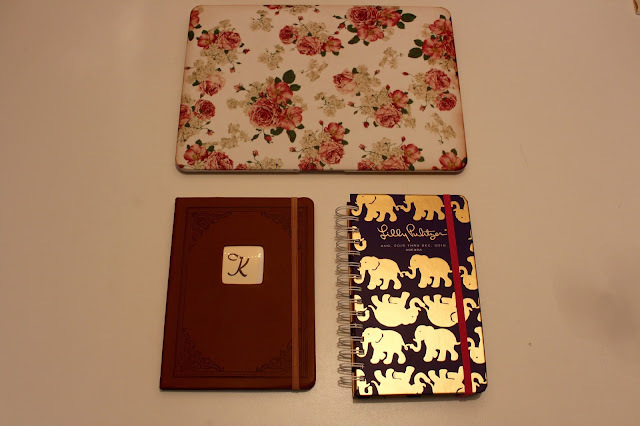 This helps to keep my brain organized, if that makes any sense. Sometimes it feels like I get so overwhelmed with homework and tests, that I just have ideas swimming around and nowhere to put them! 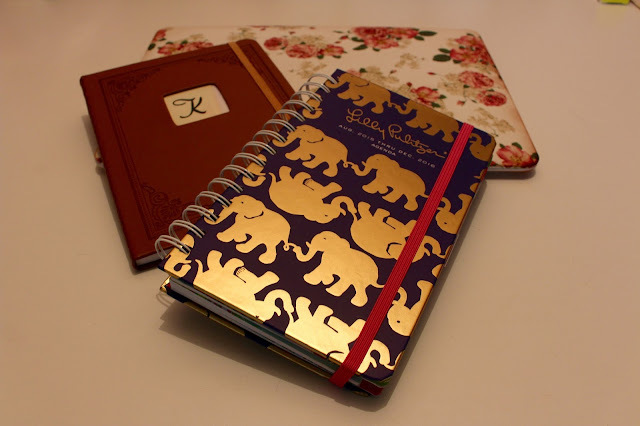 I decided to just write them all down in a journal, and that helped so much. It really helps to give you a creative outlet as well! I am seriously a sticky note addict. Honestly, I probably over-use them, but it helps to remind me of important dates, or things that I need to do the next day. When you are finally going to sleep after a long night of homework, it's so easy to forget things the next morning. I like to hang sticky notes on my desk, or put them on my laptop to remind myself to get important things done, or remember to bring the homework I just finished to class the next day. I know, that sounds crazy, but when you are an exhausted college kid, it's easy to forget to print assignments, or just leave them in your dorm altogether! Sticky notes are really the best, and should not be underestimated in their importance on your college shopping list. This is essentially the digital version of sticky notes, but they can be carried around with you, and remind you of things at certain times! Phone reminders are really great for appointments that you might forget about during the day if you're super busy. You also most likely always have your phone with you, so you can easily set a reminder when you're out and about and need a digital sticky note pronto. I personally like sticky notes better because I like physical reminders, but phone reminders definitely have their uses too! This goes along with scheduling your week, but having dedicated and consistent time where you are doing homework or taking a break is really helpful for staying sane. I like to get to work on assignments right after I get back from classes, so I can have free time later at night, and not be worried about homework while I eat dinner. Getting to bed early is also a really good idea in college, so getting your homework done right after classes helps you get enough sleep too. Well, there you have it! Those are my five tips to staying organized in college. If you are going to be a freshman next year, don't get scared about how crazy your schedule will be! You will find a balance after a couple of weeks of trial and error, and pretty soon you'll be a college pro! I made a video about this on my channel as well, so give it a look! Do you like to use planners?